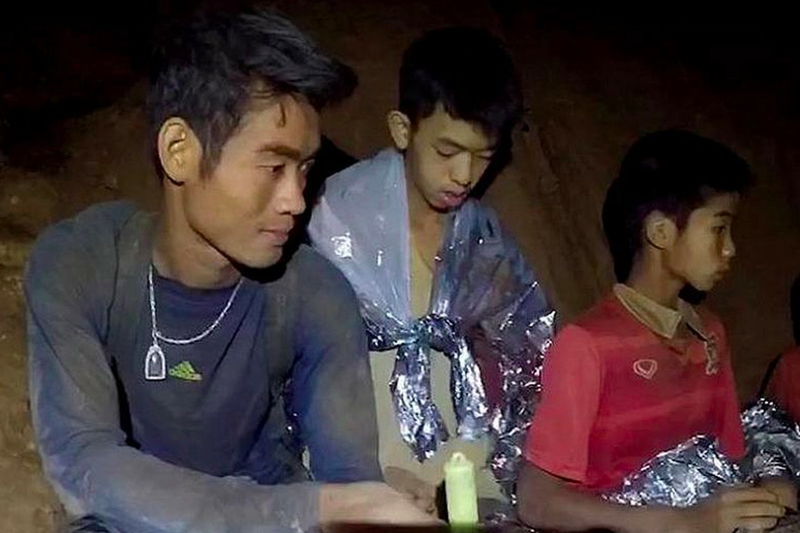 LTRP Note: Our hearts (and prayers) went out to the Thai soccer team that had been trapped inside a flooded cave in Thailand. We were as happy as so many others when we learned they had been rescued. However, our hearts became heavy when we learned, after their rescue, that meditation was attributed to their survival and that, as our reader below explains, this event that unfolded before the entire world will now draw many to try meditation. Your new booklet on mindfulness is timely coming out just before the rescue of the 13 in the Thai cave which is likely to cause an increase in people wanting to practice meditation. An article in the Wall Street Journal says the most likely form of meditation the boys’ coach used to calm them was a form of mindfulness which is popular in Thai Buddhism. The writer, Jennifer Breheny Wallace, says it highlights the value of teaching children to meditate. In my country [New Zealand], mindfulness has been approved for introduction into the education system, and in a recent edition of my local Chronicle, the children at a nearby school are seen sitting in a circle in a Yoga position practicing mindfulness. Our regional paper has also had a large advertisement for a course on mindfulness which draws on “Eastern and Western philosophy.” I made a search on mindfulness and found a Mindfulness retreat which vets people before the course to reduce the number of people who have bad reactions. I also have a friend who says they are expected to practice mindfulness at his workplace. This is not how Christians get wisdom or “inner strength and peace” as they claim. We have all we need in Jesus. Mindfulness should not be brought into schools or the workplace. It is an opening for Satan to gain further control over millions of people and get them into his One World Order. Thankfully, God always has a remnant! The boy who dreamed of KFC chicken is being raised in a Baptist church, according to ABC NIGHTLINE. Wed. 7/18/18. May those seeds of the Gospel be scattered on good ground, watered & harvested! !